This week's Menu Plan is coming to you a day late since I gave myself the day off yesterday in order to celebrate my 34th birthday. Naturally, the celebration included breakfast at one of our favorite restaurants, where Stephen let is slip that it was my birthday. 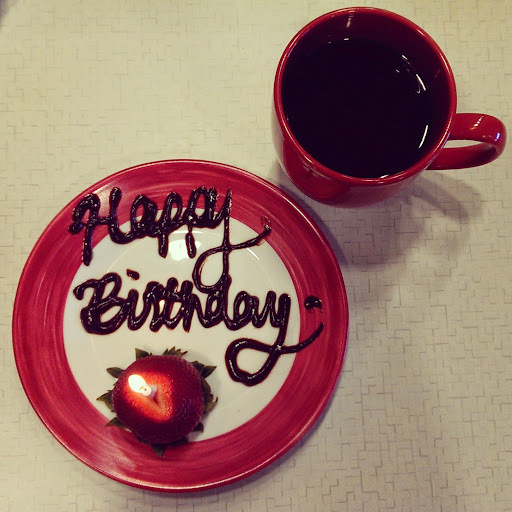 The next thing I knew, I was being presented with a sweet birthday wish written out in chocolate and a special plate of strawberry shortcake beignets. After breakfast, we headed to Home Depot to pick up supplies for Stephen's grand landscaping project. He was overcome by the impulse to rip out the front garden and improve our home's curb appeal so it would look better when we finally move ahead with putting it on the market. 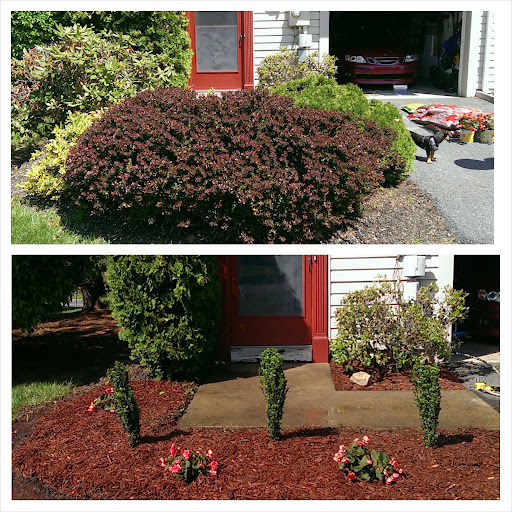 We dug out all of the bushes and replaced them with new plants and a new layer of red mulch to match the trim on the house. A lot of hard work, most of which was done by Stephen, but it was worth it. I love how the front yard looks now and can't wait to tackle our next house project! After we cleaned up from gardening, we headed out for a late, leisurely dinner at a restaurant in Downtown Bethlehem. For the first time, I really felt the age I was turning. I know I'm still young and I have so many good years/decades ahead of me, but I feel like things are falling into place across the board -- my marriage, my writing career, my relationships with family and friends. All of it just feels right and I'm not lamenting about any of those areas failing to meet my expectations. I think part of the reason why things feel "right" has to do with the fact that I'm taking advantage of as many opportunities as I can, including the opportunity to participate on panel at my high school on Saturday. This event is nothing like the luncheon I spoke at a few weeks ago in New Jersey, but I'm definitely looking forward to it. The symposium panel is titled Blog It, Cook It, Taste It: Working in the World of Food, and I'm hoping I'll bring something of value to the discussion. Wish me luck! In the meantime, here's this week's shortened Menu Plan! Tell me... what's on your Menu Plan this week?